Searching for a way to add dramatic impact to the exterior of your home? 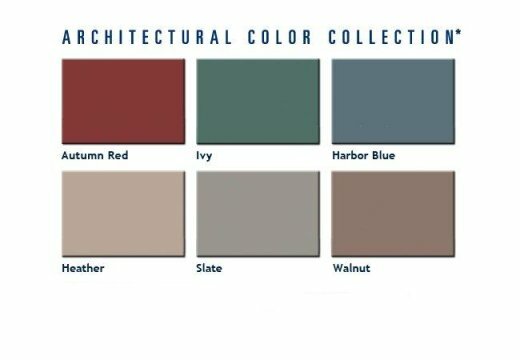 Try Associated Materials Architectural Color Collection for deep, classic colors that add lasting appeal. 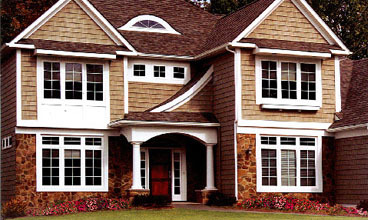 Available in the Freedom series of siding* and soffit, as well as selected Trimworks accessories, these six deep, rich colors blend the dependability of vinyl with the stability of ChromaTrue™ copolymer technology. With AMI's exclusive ColorConnect® color matching system you know that trim and accessories available in the deep, richer colors of the Architectural Color Collection will match perfectly with your siding. View the Color Matrix to see what colors are available for any Associated Materials siding, soffit or trim product. Please enter the number 30293 in the box provided below.